I’m sitting here yawning away to myself and trying to do some studying but I’m too easily distracted and unable to concentrate properly due to being so tired. Last night was another night of going to bed at 1am and being back up just before 8am this morning. When I have problems sleeping six or seven hours sounds like utter bliss, but when my body is actually letting me have deep sleeps I could really do with an extra couple of hours. But I have to go with Charlie dog’s food and medication schedule so I force myself out of bed at 7.45am and get the day started! Yesterday I managed to get some studying done. Not as much as I’d hoped but I’ve managed to do a couple of hours this morning as well and have now completed week two’s work. I’ve just opened the course material for week three and the first thing I have to do is read a 112 page document about family structures and then another 40 page document about socio-demographic changes in childhood and family life. I don’t even know where to start! And I hate reading documents and reports that are over about 10 pages long on a screen but I don’t have a printer at home. Maybe my parents would let me print off both documents at their house if they have a spare 160 sheets of paper and enough ink! It’s so much easier to have it written in front of you so you can draw all over it with highlighter pens! So my goal for today is to read the smaller 40 page report and make some notes and try to at least get through the introduction and part one of the big report. That will be a good 60 pages of reading and note taking and if I can get that done today I’ll be a happy bunny. However week four’s work starts tomorrow and this is me just beginning week three’s work and I have no idea how long it’s going to take me to read these reports in full, make notes and then send my summaries of the reports to the course tutor. And I just had a look ahead to see how much work there was to do in week four and it’s another really heavy workload. Argh. I really think they told some lies when they said part time study was approximately 10 hours per week, at the moment it’s more like 10 hours a day and that’s only doing one module… I have no idea how the full time students manage to do three modules at a time! We all got an email a couple of days ago telling us about an online student mentoring program that they run. There are quite a few mentors who are doing the same course as me but they are in their 3rd or 4th year and the idea is they can give 1st and 2nd year students a little bit of extra help to understand the course material and help you to plan your studies in advance and things like that. So I’m thinking that could be something that would help me, even though I’m only doing this one module this semester and obviously I can get help from the course tutor as well but I don’t want to be emailing the tutor everyday with questions and driving her mad! So besides being a bit stressed out knowing I’ve got so much reading to do and still panicking a little about being able to catch up with my studies, actually I’m not feeling too bad. Last weekend I was so stressed and so emotional with everything that was going on and this weekend things are a little stressful but also calmer. I am starting to allow myself to believe that Charlie might just be on the road to recovery now *touchwood* and that is a huge relief. But the past couple of weeks of him being so ill and nearly losing him has taught me just how precious my two little dogs are to me. I can see now what a massive part of my life they are and the love I have for them is just like the love they have for me: unconditional. They don’t judge me for having a body covered in scars just like I’ll never judge Charlie dog for his big scar and funny looking tummy – in a sense they are both our own battle wounds. I guess you could say that the circumstances that have caused so much stress and distress over recent weeks have now improved but I am still hearing chitter chatter in my head, to be honest pretty much all of the time. And I don’t know if it’s because I listened while they were angry and screaming at me to bare my soul to Christ… I listened and eventually I started to pray and the more I continue to pray on a daily basis the happier the voices are with me. Don’t get me wrong, if I am given orders and I choose to ignore them then they will just get louder and make me suffer. But so long as I listen and obey then all is OK… And for the moment I have no thoughts of wanting to do anything to harm myself because I’m trusting the voices are going to guide me in the right direction. I am very much being drawn towards religion and having a faith at the moment and I also really want to go to church. My problem is that I have a mix of Christianity and Spiritualist and New Age beliefs, but I don’t believe everything someone of Christian faith would and I don’t believe everything a spiritualist would either. I believe in spiritual healing, I believe there is no hell, I believe in a Heaven and I believe there is a God. I believe in an afterlife. I struggle to believe the Bible fully but also have scepticism over those who claim to be ‘mediums’ – although I do believe that some people have the gift to connect with the spirit world. So I’m left feeling a bit confused. My plan had been to start going to a Christian faith church on a Sunday morning and to start going to the spiritualist church on a Monday evening and just see if either of them feel “right”. I guess that’s the only way I’m going to know for sure, it’s just a little daunting going by myself. Right I think I’ve rambled on for long enough now, I can’t believe it’s almost 3pm, the day is flying by and I still have so much stuff to do. The dogs are due another walk around about now so I’m hoping fifteen minutes of fresh air will perk me up a bit so I can come back home, do Charlie’s medications and then get stuck into one of these lovely big reports I have to read. I’m still so tired and I think it’s going to be a real struggle to stay awake through until midnight then up again early tomorrow and a check up at the vets at 11am for Charlie dog. It’s all go go go! I went to see the psychiatrist yesterday and we had a good long conversation about everything that’s been going on for me lately. Mostly this consisted of me telling him about Lucifer, the debate between the other voice claiming to be Iblis, wanting me to convert more towards Islam and less towards Christianity. They are both pretty manic in my head right now, always arguing about something and adding to my paranoia. I listen to Lucifer more, not because of anything religious but because he talks directly to me, we have conversations together, he makes sense to me. He isn’t nasty or evil, he is the one who is capable of giving me additional powers that most humans just don’t have. He will make me better in so many ways. So I told the psychiatrist all of this. I told him I had gotten the forms to apply for a housing transfer and how I never know what to write any more about my mental health ‘condition’ because he has recently seemed like he no longer thinks I have Bipolar. 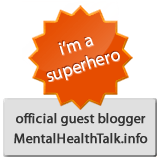 So I told him I wanted a diagnosis – I asked him what was wrong with me? 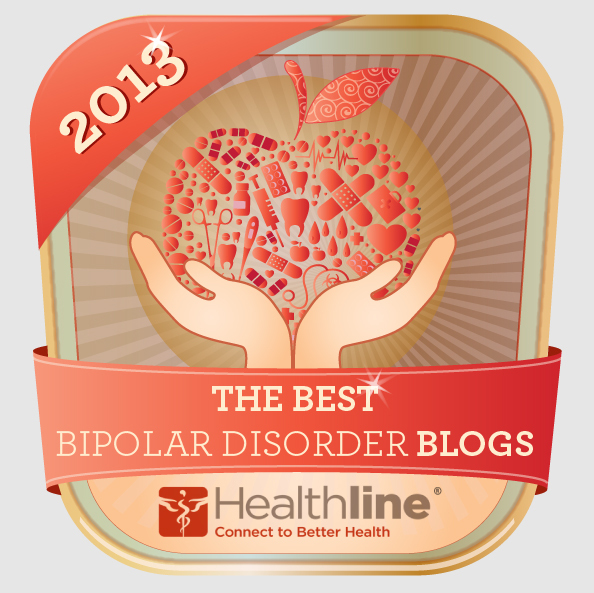 Do I still have Bipolar? Yes he said. He told me he was confident in his diagnosis of Bipolar 3 years ago and still considers me to have it as that is what the medication I am taking is for. However he also says I keep having periods of psychosis. I told him I wasn’t in a period of psychosis just now though and he said I was. Hmm. There is no point in arguing with him. He said something about the periods of psychosis could just be that – periods of psychosis – or they could be an indicator of another mental health condition like schizophrenia but at the moment I don’t fit neatly into any little criteria of boxes and right now he doesn’t know for certain what is wrong with me. So for now I am currently undiagnosable. Today I was supposed to have my session with the addictions nurse to do our relapse prevention work but I’ve had a horrible migraine all morning, I was sick around 9am which usually means the migraine will go away soon but it’s now after 3pm and I still have it. So I phoned late this morning and cancelled our session for today and changed it to Tuesday. I have an appointment with my social worker tomorrow. I am going to take the housing transfer form with me and use the session to fill it out. I also need to make an appointment with my GP, I think I will try and do that tomorrow as the psychiatrist wants me to increase my Quetiapine (Seroquel) by 50mg a week now not a fortnight so I need some extra tablets as he wants me to increase as soon as possible. It’s a bit weird because on the one hand he was saying he was glad I wasn’t so distressed by the voices like the way Patty really distressed me but at the same time he wants me to go to my GP as soon as possible and increase my medication straight away. I’m a bit confused by that. Also I need to see my GP about my knees. I spend a lot of time sitting cross-legged on the sofa with the laptop on my knee and after an hour or so they would start to feel stiff and I’d need to give them a good stretch out. But for the past few weeks now I can barely manage ten minutes of them being crossed before they really start to hurt and they still really hurt when I straighten them out. The only way to make the pain stop is to get up and start walking around. It’s like they keep seizing up and I need to get mobile to loosen them up again. I know this is due to my posture, the way I sit, crossing my legs, being overweight probably doesn’t help and so I’m pretty sure the GP will give me a prescription of exercise and healthy eating but I just want to get them checked out. Oh and I finally answered the phone to my Mum today. I feel so bad it was my Dad’s birthday on Tuesday and it’s now Thursday and I haven’t been up with his present or card. So Mum phoned and I thought I better answer because I knew she would be getting worried so I had a quick chat with her and told her I was OK and that I was going for a shower and would go up soon. I will try and make a point of seeing them at the weekend, a week late but I’ll get it done. So yeah, right now I’m just keeping busy in my own little world, currently undiagnosable but still being treated for Bipolar. Oh and the psychosis which I really don’t think I have. Maybe when my psychiatrist retires in September the new psych will be able to give me some more answers. Tags: bipolar, christianity, diagnosis, housing transfer, iblis, islam, Lucifer, parents, psychiatrist, psychosis, quetiapine increase, undiagnosable? That connects us ’til birth. Bradley and his family lived in a beautiful house that had big tall trees all around. Bradley was getting ready for a trip. He didn’t know where he was going but he knew he was going to a ride with his friend Thomas the Train. Now Thomas, in his life, had taken people from all over to lots of different places. He always got them to where they need to be so that they are safe and sound. Once on the train, Thomas took care of everything. There were bears on the train to help Thomas do his job. Some bears looked after bears; some bears played with other bears. There were bears here of all ages and from all over the world! No one was ever sick on the train; even those little bears who were sick before weren’t sick any more. Little bears always got special treatment on Thomas because sometimes they had to travel alone. Thomas and the bears on the train that helped Thomas all kept a special eye on the little bears so that they were never lonely. Soon Bradley was ready to go to the train station where Thomas was meeting him. Bradley’s family took Bradley to the train station. They were sad and worried because he was such a little bear to be travelling on his own. But they knew and trusted Thomas because Thomas had been doing this job for a very long time. They knew Thomas would take good care of Bradley and make sure he arrived safely to meet his family at a new station. It was still very hard for Bradley’s family to say good bye because Bradley wanted his family to come and they wanted to go with him. But this was a trip that Bradley had to make by himself. His family still had lots of things to do before they could get to the next station. Bradley hugged his family a temporary good bye because Thomas promised to get Bradley to the next station where his family would meet him. Bradley’s family promised they would think about him often and always remember the short time they had together. Thomas promised the family that he would take extra good care of Bradley, and his family said they would all take care of each other. As they cried and waved at Bradley as he stepped onto Thomas, they saw a rainbow. Someone said a long time ago, that a rainbow is a promise waiting to happen and that a rainbow will always be over little Bradley until he sees his family at the next station. Then they would travel the rest of the journey, together, forever.